Updated Sunday November 18, 2018 by Chris Cox. 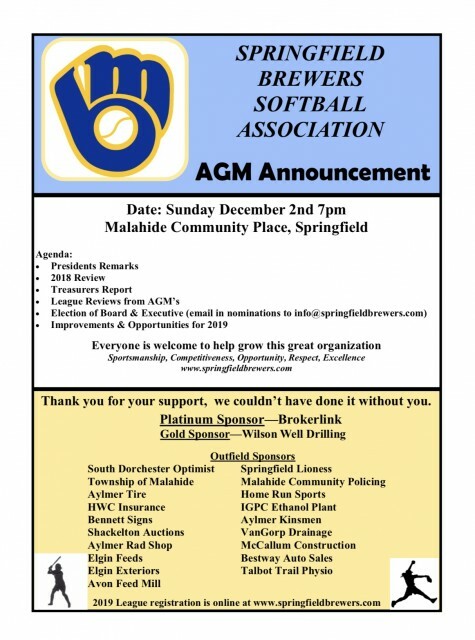 Our AGM has been scheduled for December 2, 2018 at 7 pm. Meeting will be held at Malahide Community Place. All are welcome to attend. Come see whats new for the 2019 season!